Whether you own a commercial space or a residential building, you need to ensure its safety from all kinds of risks and dangers. Murders, kidnappings, thefts, burglaries or assaults have become quite a rampant phenomenon which can only be combated with better and more efficient security. So, hiring a security guard will no longer be enough. 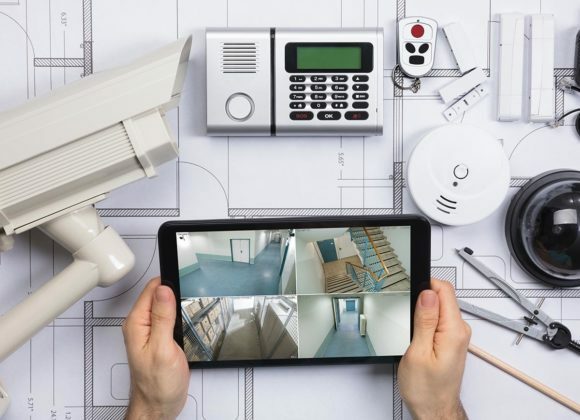 Nowadays, you can use new kinds of advanced technology and smart devices like the burglar alarm systems, closed-circuit television systems, surveillance cameras, intercom systems, access control systems, or other such modern security systems to ensure a safer and more convenient life. We, at D & S Security, can be an ultimate choice for you when it comes to top-rated security for your office or home. Being in this industry since 1987, we have gained a solid experience in catering to the security needs of the people and have been known for our honesty, integrity, and quality of products and service. So, if you are based in areas like Anaheim, Burbank, Long Beach, Los Angeles, or Torrance, you can rely on us. Here, we have put together a few things you need to compare about the different companies before investing in their security systems. Take a look. First of all, you need to make sure that the technology used in the security systems you are thinking of installing is updated and highly advanced. If you have to deal with current notorious criminals, you have to keep your tech-knowledge at the supreme level. So, compare the features and see which ones offer you maximum security. The next thing is quite obvious. You surely want an optimum security but you cannot spend a fortune, isn’t it? So, you have to compare the prices charged by the different companies and check which one offers the lowest rates on the best security features. After comparing all the elements, if you are keen on installing our security products, then contact us today.